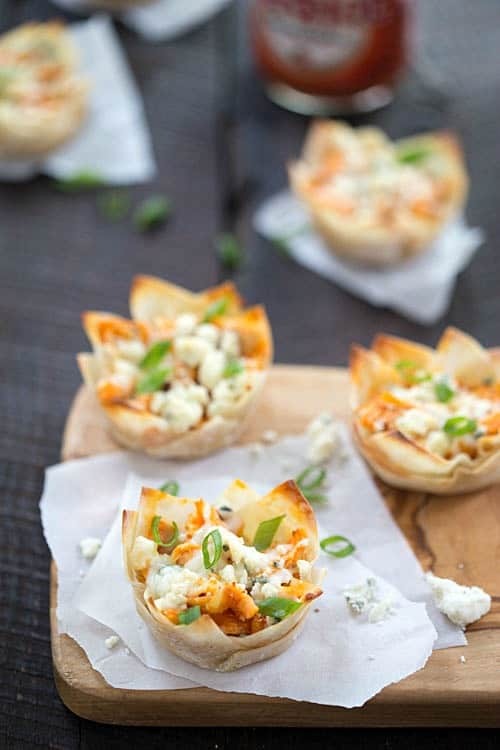 Cheesy Buffalo Chicken Cups Recipe – Tender chicken seasoned with the best hot sauce, then topped with cheesy mozzarella cheese, then finished with crumbled blue cheese! One of our favorite appetizers for a party! If you like buffalo wings, buffalo chicken dip, or pasta you are going to love this! With any games, Buffalo chicken is always on the menu. Well at least for my family and friends. I like it because it tends not to be too spicy and has a lot of flavors. No flavor and only heat aren’t my types of dish. 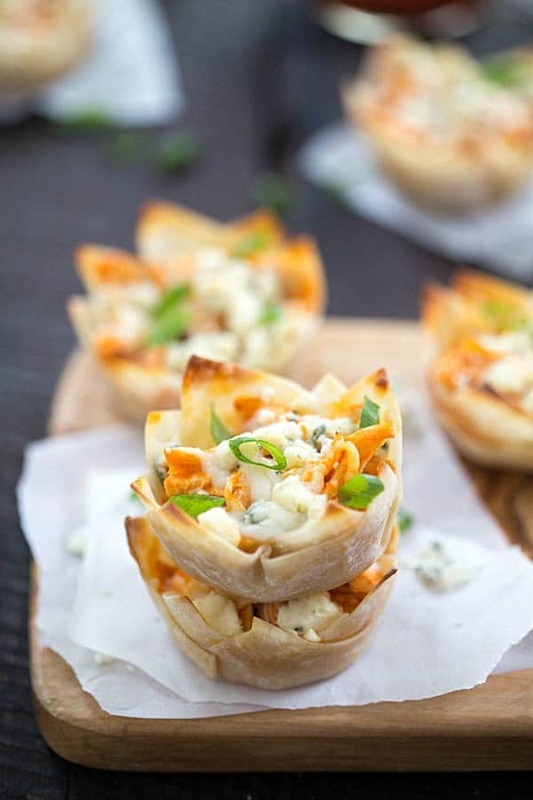 You are going to be shocked at how easily these cheesy buffalo chicken cups are! I was surprised when I started making them. I thought I would have a hard time with the wonton cups and getting them into the muffin cups correctly. No need to worry because that part is a breeze. Trust me. Looking for more buffalo chicken recipes, we have you covered. We love buffalo chicken pasta, or even buffalo chicken french bread is perfect as an appetizer or meal! For the wonton wrappers, you can find them in your produce section near the tofu in your local grocery store. I like how you can use two different types of muffin pans – regular or miniature. The miniature ones are adorable and poppable! Just a tip of you are using the miniature muffin pan, try only using one wonton wrapper instead of two.